I was able to finish up my tree quilt this past week. I am calling it, "You can see the stars." 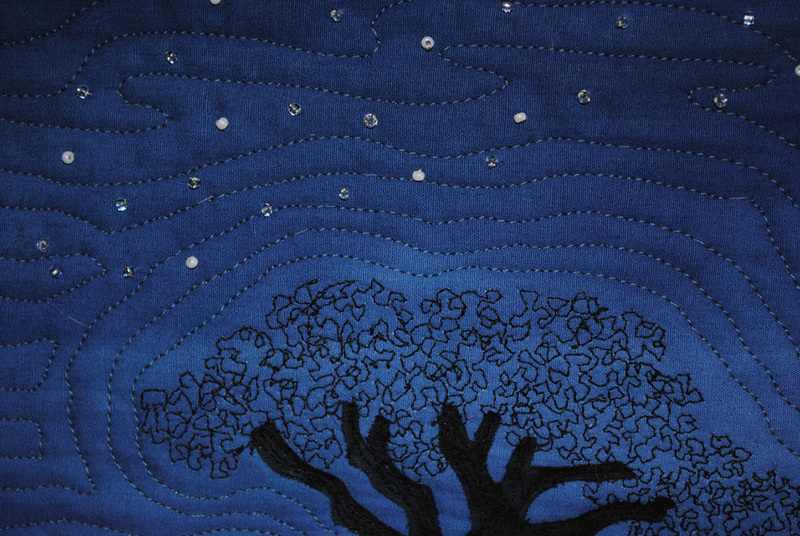 If you remember, the inspiration for the piece is a Persian proverb quoted in a report of Greg Mortenson's Central Asia Institute foundation – When it is dark, you can see the stars. The fabric is hand-dyed and comes from Lisa Walton whom I am currently taking a beading class from. 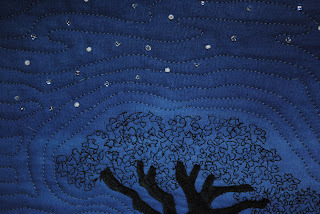 I am really pleased with the way the tree turned out and wish to acknowledge Anne Maundrell whose art works introduced me to the thread work approach to creating leaves. The beads are a wonderful addition to this piece. Thanks for sharing, Judy! 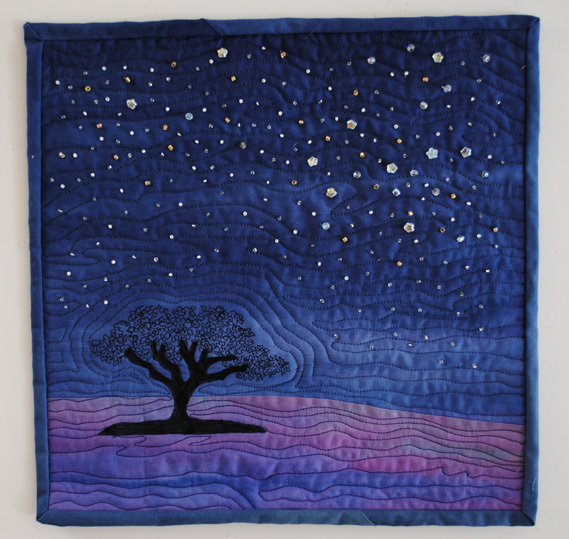 Judy, This quilt is so beautiful! 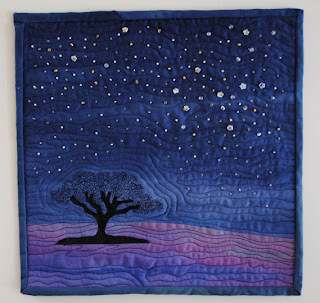 I love your starry sky and the glow behind your tree.